Tractors are the real workers of Americas valuable heartland, harvesting the food and building the roads that run this majestic country. Truck blankets pay their dues to these tireless workers and valuable allies in agriculture and construction. 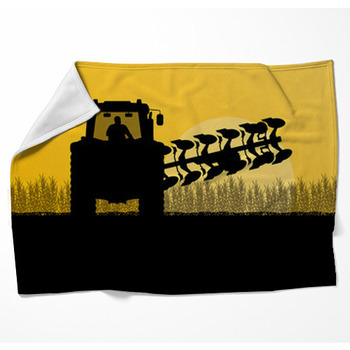 The cozy fleece blankets will keep you warm on the coldest of Midwestern nights even while you're plowing the field. The power and reliability of tractors is incredible to behold, often outliving their owners and single handedly completing the harvest. 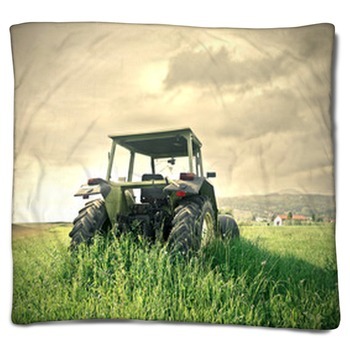 Just by adding one of these John Deer throw blankets to your living, you transform your home decor into a country farmhouse theme. 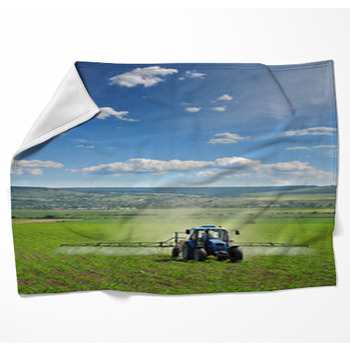 Showing the romance and tranquility of American farmland, we have woven blankets with a lone tractor standing in a field as the gorgeous sun sets behind. 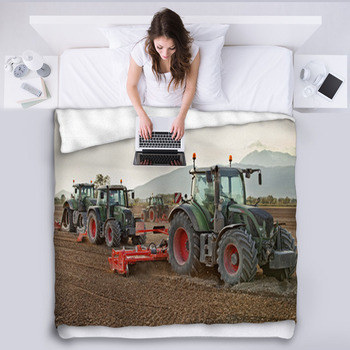 We have fleece blankets showing vintage emerald green tractors and throw blankets with brand new modern tractors in cherry red. 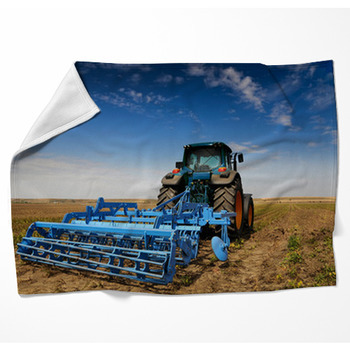 The Kansas plains can be seen underneath a bright blue sky on our fleece blankets with a tractor gently riding along the surreal flat landscape. 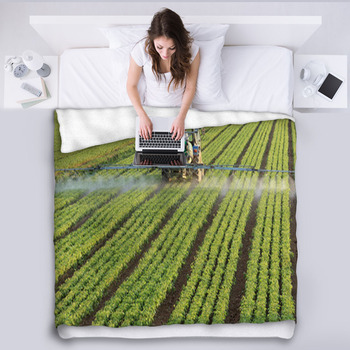 With collages and illustrations of all kinds of agricultural equipment you can show your respect and pride with the simple addition of a woven blanket to your home decor. These portable throw blankets make excellent picnic blankets and road trip blankets whether or not you're passing through the corn and wheat fields of the North American plains. Young children love the sounds and power of tractors from Bob the Builder to Disney's Cars. 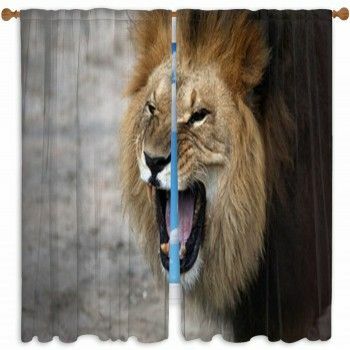 Decorate their room with fleece blankets and mesh blankets to bring warm smiles to their faces. 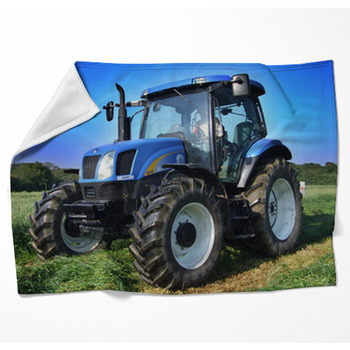 We can even personalize their favorite tractor blanket with customized text or messages. 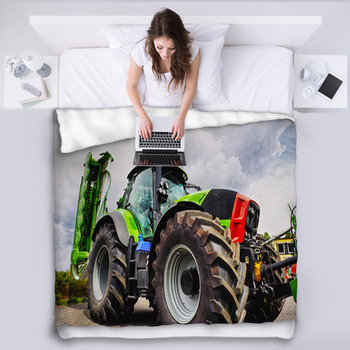 For a truly unique room, match your tractor blankets with tractor theme pillows and window curtains to create a young boys fantasy come to life. 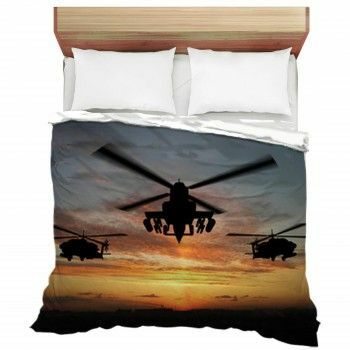 He will be surrounded by his favorite big machines and have a room that will impress any of his guests.